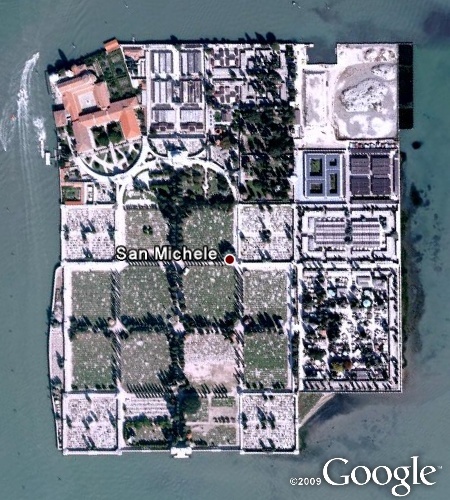 The Island of San Michele in a lagoon near Venice is the official cemetery of the Venice. 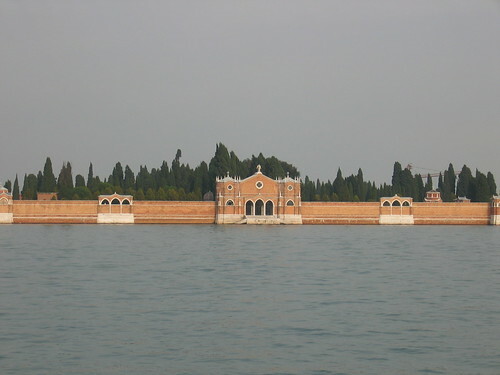 Faced with land shortage in the canal city and fearing of insanitation due to water seepage in the graves, Napoleon, decreed in 1807 that the Islands of San Michele and San Cristoforo della Pace will be official burial places for the Venetian dead. Later in 1836 the narrow waterway between the two Islands was filled with earth and the two Islands combined together came to be known as Isola di (Island of) San Michele. It is also called Cemetery Island and Island of the Dead. 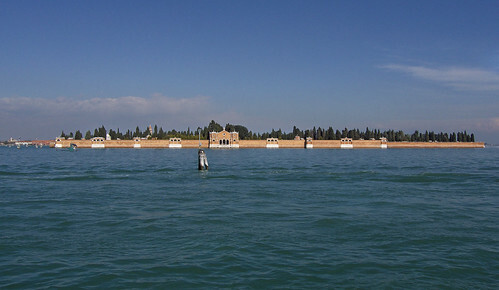 The cemetery is still in use and the dead are carried to the island on special funeral gondolas. 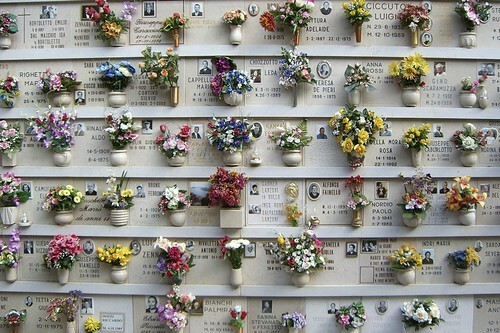 However, due to shortage of space, the graves are squeezed in tightly and as is the custom in many European countries, after a few years (reportedly 10 years) the dead are exhumed and stored in compact concrete ossuary boxes in another part of the cemetery.